Most runs scored by an Indian Captain in Australia for ODI’s. Dhoni in the top place , Azhar next. Dhoni has scored 552 runs in 15 innings. 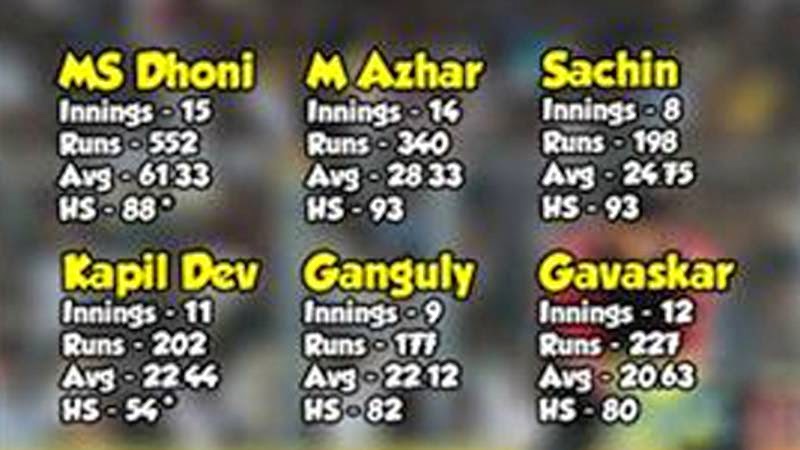 So even without not out, Dhoni has an average of 36.8 whereas no other captains has achieved atleast 30. Mohammad Azaruddin scored 340 runs from 14 innings. Sachin Tendulkar score 198 runs from 8 innings. Kapil Dev scored 202 runs from 11 innings. Ganguly scored 177 runs from 9 innings. Gavaskar scored 227 runs from 12 innings.